Despite the fact that SEO has the highest ROI of any ecommerce marketing campaign, most online shops are put together with little to no consideration of search engines. Instead, they on social media or paid ads. Which are great platforms but require a constant effort and stream of income. SEO, on the other hand, only requires effort up front — once you rank, you practically make sales on autopilot with no recurring expense. Ecommerce SEO is all about making sure your product pages appear among those ten organic search results. Magento is one of the world’s leading ecommerce platforms. Whilst Magento is a powerful open-source platform, there are some issues relating to SEO that you’ll want to address in order to boost your site’s visibility in search engines. Our Magento SEO services are designed to ultimately help you to drive more sales. 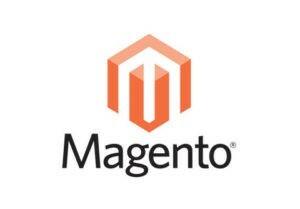 Magento is widely regarded as one of the most challenging ecommerce platforms from an SEO perspective, due to the complexity, that said, all of the SEO issues associated with the Magento platform can be resolved, it’s just a case of knowing what needs to be done. After performing a comprehensive audit, our SEO team will get to work fixing the issues that are stopping your Magento site from ranking. All Magento ecommerce stores are different. Therefore, we will draw upon our SEO expertise to create a bespoke SEO strategy for all of our clients. 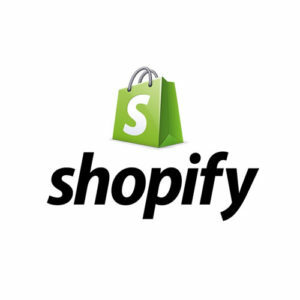 Shopify is one of the first platforms that comes to mind when it comes to e-commerce. In fact, it is the platform of choice for 600, 000 business owners globally, and collectively they’ve made $82 billion+ in sales! Signing up to Shopify and bringing your store to life is one thing, but actually making sales is quite another. Ensuring that your store is fully optimised is an important step in boosting your online visibility, resulting in improved sales and revenue. SEO for Etsy is vital. Shop owners need to increase their visibility in search engines and the Etsy Search Algorithm. This will allow you to achieve higher conversion rates. listing quality score – we’ll do this by increasing your number of clicks and engagement your products get in the search results. Item attribute relevancy – we’ll do this by selecting several accurate attributes to maximise your visibility. Tag and title relevancy – we’ll do this by performing comprehensive keyword research. Our experts will identify the long tail keywords and other search terms your potential customers are using. Customer experience – we’ll do this by encouraging you to get more customer reviews, optimising your stores about section and your store’s policies. Recency – we’ll do this by relisting old items. Etsy’s search algorithm looks at how recently an item was listed or relisted. Need Help With Ecommerce Seo?